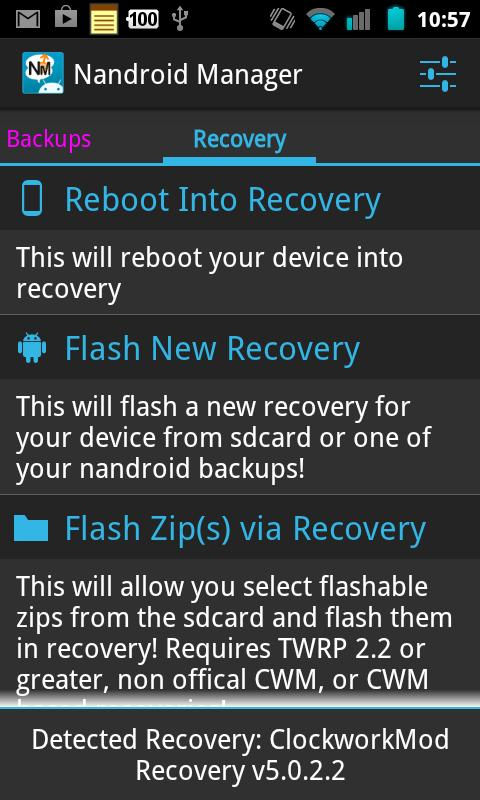 If you're the ROM flashin' type, there's a good chance you have quite a few Nandroid backups floating around on your SD card. While those are undoubtedly handy to have around, they're really only good for one thing: restoring. But what if you only need one specific thing from said backup – like one app, a text message, or your call log? Then the process becomes much more complicated – you have to create a backup of the current setup, restore the old one, backup the needed info, and restore the backup you just made. Annoying. Delete backup.Verify and regenerate MD5 hashes for backups. 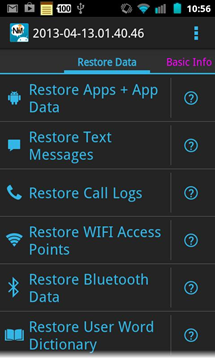 Restore Text Messages from backup. Restore Call Logs from backup. Restore WiFi Access Points from backup (Pro). 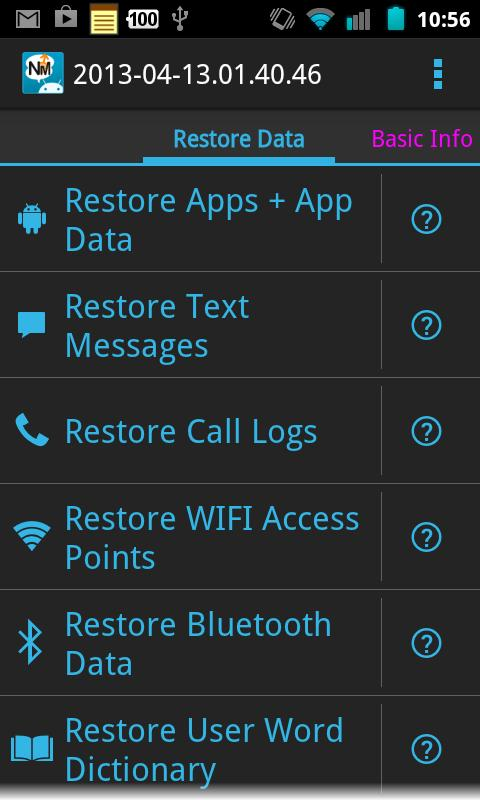 Restore Bluetooth Data from backup (Pro). Restore User Word Dictionary from backup (Pro). Restore Browser Data from backup (Pro). 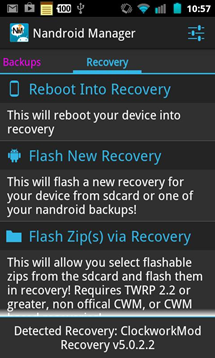 The developer is also working on adding features that allow data to be exported so it can be applied to other devices, home screen data restoration, and the option to convert backups between TWRP and CWM. 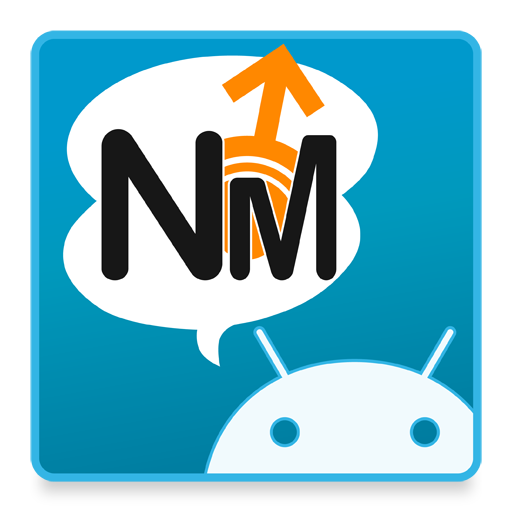 If you find yourself exploring new ROMs often, Nandroid Manager is likely an invaluable tool. There's a free option available, but for everything it offers, it's probably worth dropping a buck on the Pro version.